All Amels yachts for sale worldwide are listed below, scroll down to view them. “The art of yacht building” is Amels’ heritage and DNA. Holland is famous for many things, but mainly, the appreciation that the Dutch have for beauty in art, nature and science. The Dutch are renowned throughout the world for their engineering prowess as shipbuilders. Amels delivers luxury yacht creations and refits from its yard in Vlissingen, the largest superyacht facility in the Netherlands. Under the umbrella of the Damen Group, one of the world’s top shipbuilders, Amels has an outstanding track record for on-time delivery to the absolute highest quality. The Amels yachts have a reputation for sturdiness, reliability and seaworthiness. Amels products consist of: The Limited Editions, ranging from 180feet / 55meters to 272feet / 83meters; and the Full Custom builds, ranging from 260feet / 80meters to 360feet / 110meters. The Amels Refit Department is prepared to restore a yacht to a better-than-new condition and in so doing, increase the yacht’s value and extend it’s operating life. 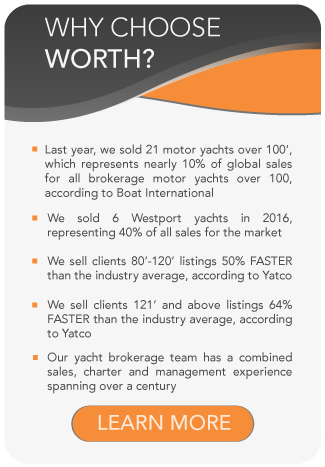 Amels also handles the sales and marketing for the Damen yachting portfolio: The Yacht Support vessels and the SeaXplorer. The history of Amels started several generations ago, when in 1918 the company started building many ocean going ships in Vlissingen, a town with a shipbuilding culture stretching back hundreds of years. It was in 1982, with the construction of Katalina, a 157foot / 48meter yacht, that Amels established a reputation in the world of luxury yacht building. In 1991, Amels became a member of Damen Shipyard Group, gaining more advanced technology and financial strength. Damen was established by two brothers back in 1927. Today, with more than 9,000 employees and 32 shipyards worldwide, Damen Group has earned a leading position in the shipbuilding world. Damen is a leader in a wide range of specialist shipbuilding, refit and conversion markets including Naval, Security, Offshore and Yachting. With a strong commitment to R&D and innovation, Damen is dedicated to making vessels that are faster, quieter, more cost-efficient and more environmentally friendly. The Amels team works closely with Damen colleagues to get the maximum benefit from the group’s outstanding research and innovation expertise and facilities. Amels yachts are constructed of steel, the most reliable, durable and suitable material for superyachts. The craftsmen at AMELS share the rich, centuries-old tradition of nautical excellence in Vlissingen. With direct access to the North Sea, the Vlissingen yard can accommodate new builds and refits for even the largest of private yachts up to 656feet / 200meters. The yard covers 25acres / 100,000sq.meters, including fully climate-controlled covered drydocks. Comprehensive paint facilities ensure the highest quality finish, while the design and engineering team ensures precision and reliability needed for demanding designs such as the gullwing doors, scimitar bows, curved constructions and curvature around the aft end of a yacht. In 2007, Amels launched the successful Limited Editions range designed by “the master of exterior design” and award winning designer Tim Heywood. The Limited Editions range consists of six designs ranging from 180feet / 55meters to 272feet / 83meters. This range creates the perfect balance between full custom and semi-custom: the advantage of being built on a proven, reliable platform, while retaining the main attraction of pure custom, freedom in the interior design and exterior styling, but with significantly faster delivery times than a fully custom built yacht. Amels recently revealed the next phase in its growth, Amels Full Custom, one-off creations in the 262feet / 80meter to 361feet / 110meter segment. As Managing Director Rob Luijendijk makes clear, full custom yacht building is a natural step, creating your vision of yachting at the highest level. 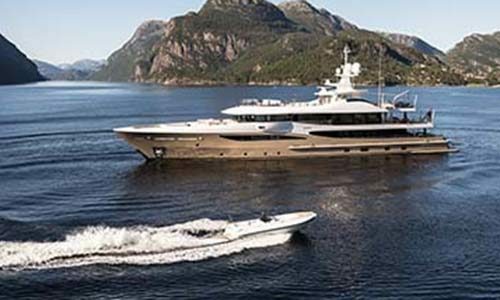 Amels’ design and engineering teams are second-to-none, with vast experience collaborating with the most renowned designers in the world as well as classification societies and flag states. Amels also handles sales and marketing for the Damen yachting portfolio of The Yacht Support and SeaXplorer vessels. The Yacht Support vessel does exactly that – provides support to the superyacht. It is made to carry more and larger tenders and water toys, helicopters, specialist equipment for security reasons, and assisting personnel. These vessels range from 142feet / 43meters to 277feet / 85meters. The SeaXplorer, unveiled in 2015, is a true purpose-built expedition yacht range, 213feet / 65meters to 328feet / 100meters, suitable for extreme Polar and Tropical adventures. 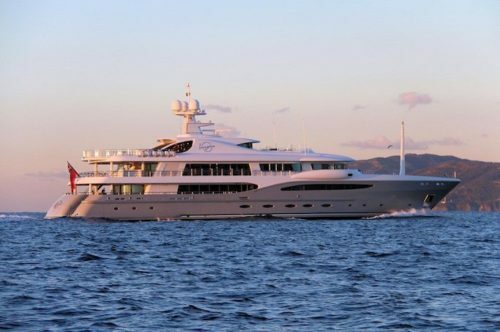 Amels has over 50 luxury yachts cruising the seas, with notable ones such as: the world’s first MCA-compliant certified vessel, the 164foot / 50meter Tigre D’Or (now Tzarina); the 246 foot / 75meter Terence Disdale; the Event, built in 2013 with the scimitar bow; the La Familia, an Amels 180 and Owner’s choice of Lambert & Thurnherr for the interior design; the Amels 199, Madame Kate, debuted in 2015 and won the MYS Interior Design Award, the MYS Rina Award for Sustainability and the ShowBoats Design Award for Naval Architecture over 500GT; and the 181foot / 55meter Elixir, launched in 2016, to name a few.